You've found a new project still somewhat in development... but don't run away yet! I hope this site will become not only the premier online source of information about the Gilbreth family, but an anchor point for the various communities of their admirers, and for some related projects including a forthcoming book. The basic framework and content is coming together day by day, and I hope a few unfinished corners won't drive anyone away. 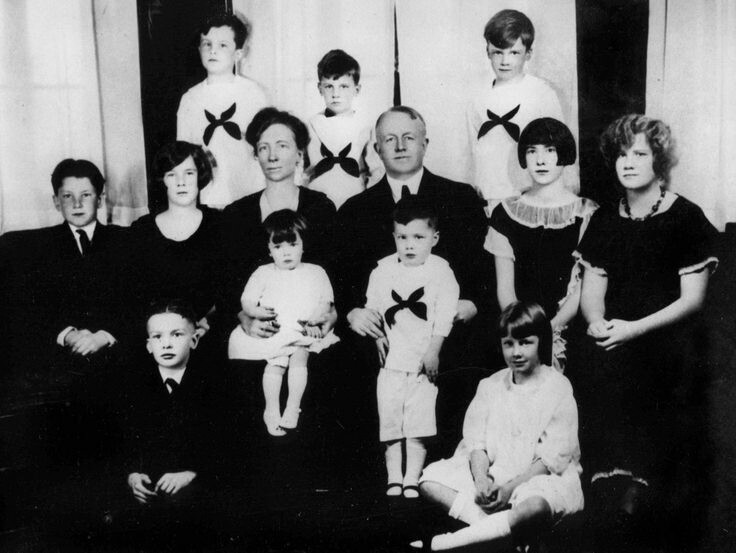 A growing amount about the Gilbreth family and their interlocking worlds. Set a bookmark and check back frequently as I get more material added almost every day. If you have ideas about what should be here, or comments about what is or what's promised, by all means drop me a line. Click Here or on the ABOUT button for some answers. I hope to build on the knowledge and interest of everyone even lightly concerned with the topic, whether they are from the engineering community, just fans and admirers of this wonderful family and its lasting accomplishments or — please! — family themselves. So, if you share my interest in the Gilbreth family, to any degree, drop me a note. Comments, questions, encouragement, ideas and big family jokes I haven't heard all welcome.